Is Michael Redd the best pure shooter in Bucks history? 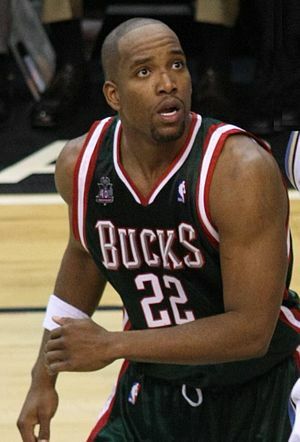 Last night former Milwaukee Bucks guard Michael Redd officially announced his retirement from the NBA. Redd spent 11 years in Milwaukee during his 12-year career (he spent one year in Phoenix) and averaged 19 points per game in the league. Redd currently ranks fourth on the Bucks all-time scoring list with 11,554 points behind Kareem Abdul-Jabbar, Glenn Robinson and Sidney Moncrief, and he is one of five Bucks to play 19,000 or more minutes in a Bucks uniform. So here’s the question: Where does Redd rank as one of the greatest Bucks of all-time? Also, considering that Redd was known primarily as a shooter, where should he be ranked among the best pure shooters in Bucks history? Your choice as the best pure shooter in Bucks history? So, where does Redd rank on your list of all-time Bucks?